On the heels of announcing his "Return," Logic has announced a release date for a new project with a brand new freestyle. 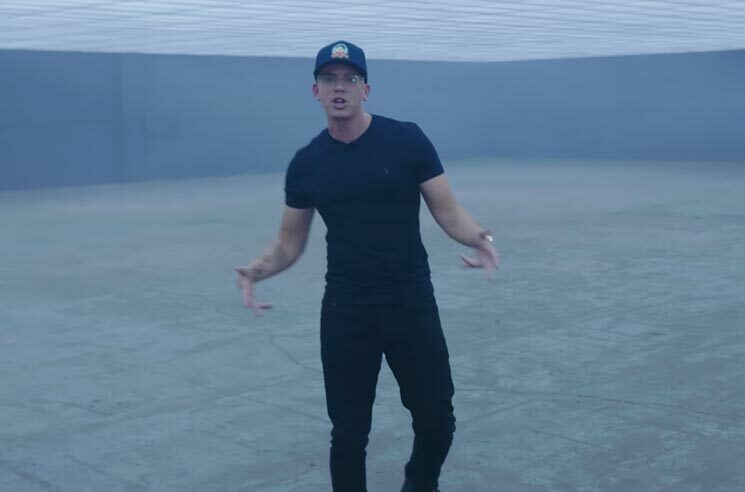 At the end of his "YSIV Freestyle," the rapper revealed that a new mixtape titled Young Sinatra IV will arrive September 28. It marks the fourth instalment in the mixtape series, preceded by 2011's Young Sinatra, 2012's Young Sinatra: Undeniable and 2013's Young Sinatra: Welcome to Forever. Logic promises the tape will be "bringin' that boom-bap back for the Rat Pack" after finishing the furious freestyle, which you can take in below. Logic last delivered his Bobby Tarantino II mixtape in March of this year. His last proper LP was 2017's Everybody. He also recently shared a video for the Ryan Tedder-assisted "One Day."